Want to cuddle with Nicole? As my short description says, I’m a lifelong musician and teacher. My passion in life is to empower others–through the power of music, through the power of touch, and through the power of explicitly honest communication with ourselves and with others. I believe that helping and loving others is the highest calling a person can have. Every person needs a place where they are listened to, cared for, and accepted exactly as they are, and that’s what I want to provide for those who need it. 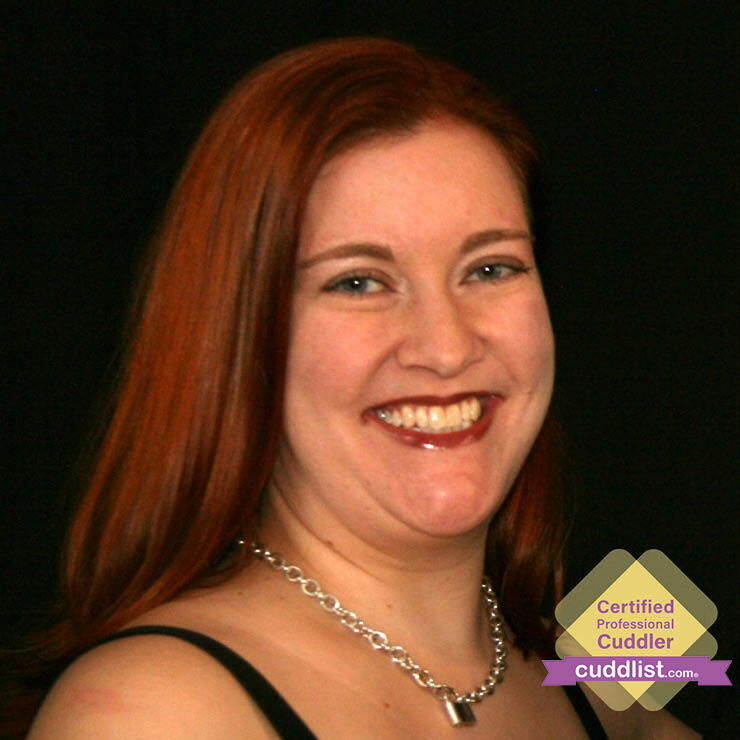 My aim as a cuddlist is to help each client discover their own wants and needs, and to learn how to communicate those needs to others. In particular, one of the things it can be hardest to express is “no”. Everyone has things they want and things they don’t want. I want to help people learn to say both “yes” AND “no” with honesty, knowing that they can rely on me to do the same. In addition to my life’s work as a musician and teacher, I have lots of other interests. I love all types of animals and I do as much rescue work as I can. I currently have one dog and one cat, who I like to refer to as my “furbabies”. I have eight nieces and nephews, and I am also privileged to have some small part in the loving and parenting of three children. I enjoy knitting and I’m working to learn new techniques in that area because I have a lot to learn! I find it very satisfying to create “order out of disorder” in the spaces where I live and work, so I like lists, charts, specialized containers, and all the things that go with making all the little tasks of daily living run smoothly. 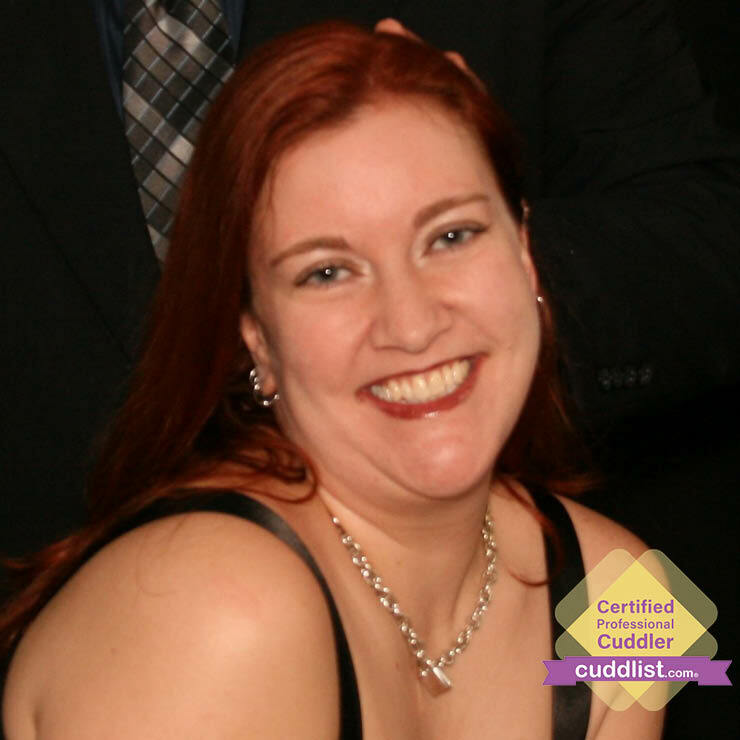 All interactions are governed by the Cuddlist Code of Conduct; I offer connecting, healing, comforting, platonic touch only (as stated in the Code of Conduct). I am not available for same-day or next-day requests. Please contact me AT LEAST 48 hours before your requested session day and time. I will then contact you within 24 hours of your request for a session, and then we will move on to a phone call to determine if we are a good match in needs and desires. I accept Paypal or cash for payment. Travel fees for out-calls are calculated by time at a rate of $10 for each 30 minutes of travel time ($10 minimum). All fees are due at the beginning of the session and I require 24 hour notice for cancellations. There is free parking available at my studio. I’m located in a suburb northeast of Atlanta and I will provide you with directions once our appointment is confirmed. I am available during the day Monday through Friday from 9 am to 1 pm; evenings from about 8 pm till 11 pm Tuesday and Wednesday, all day Thursday; and on Saturdays and Sundays from 9 am until 7 pm. If none of these times are suitable for you, you can request a time outside of those hours and I will do my best to accommodate you if possible.